Swimming is really a sport for all ages. It helps young people to tone their muscles and grow healthy and powerful. Not all countries would be the same, and swimming regulations and rules are changing from one country to another. Water sports are growing particularly in elderly population sectors who have suffered some form of muscle or bone damage. Looking for Salt Water Pools in Ohio? A number of of them belong to gyms or sport centers which also offer lessons. We presently have the following Swimming Pools, but we are normally grateful for any corrections or contributions. Get in touch via our contact form. These are the Salt Water Pools in Ohio other users have reported. Are you a local and your pool just isn't listed? Contact us to ADD IT. It is free! Swimming is really a fantastic idea to keep your body active during your visit to Cleveland (Ohio), or even should you be a local. 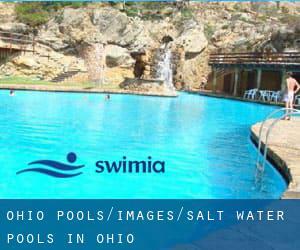 Swimia assists you to find your closest Pool in Cleveland. Holding an estimated population of 296.943, Cincinnati is among the most important cities in Ohio. Check all of the Pool in Cincinnati and its surrounding area. Without a shadow of a doubt, swimming in Toledo will be the very best solution to unwind soon after function. Take a couple of minutes to browse Swimia's catalog to find a Swimming Pool in Toledo. It's hard to visit Ohio with out dropping by Columbus (with 787.033 residents). 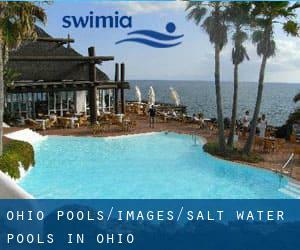 Presently Swimia is showing you all of the Pool in Columbus and the closest pools located in its vicinity. Updated on 2019 Highway 30A , Alys Beach , FL , USA (Postal Code: 32461). Swimmers like you have reported 100 feet x 50 feet, Salt Water, Outdoors. Also, you will find 25 yards, Outdoors. If you might want to contact this Swimming Pool, email address and phone number are both number. 2880 Michelle Drive , Irvine , CA , USA (Postal Code: 92614). Among all the activities offered by the center, if you are interested in swimming you'll appreciate 25 yards, 3 lanes, Salt Water, Indoors. Just in case you would like to get in touch with this Swimming Pool before dropping by, we only know the phone number. 150 Thunder Trail , Ketchum , ID , USA (Postal Code: 83340). Swimmers like you have reported 25 yards, 6 lanes, Salt Water, Outdoors. Also, you will find 25 yards, 3 lanes, Salt Water, Indoors. If you might want to contact this Swimming Pool, email address and phone number are both number. Updated on 2019 889 Putney Road (Routes 5 and 9) , Brattleboro , VT , USA (Postal Code: 05301). Swimmers like you reported 25 yards, 3 lanes, Salt Water, Indoors. Phone number and e-mail address are number for this Swimming Pool. 4833 East Huron River Drive , Ann Arbor , MI , USA (Postal Code: 48105). This sports center provides 25 yards, 5 lanes, Salt Water, Indoors. For this Swimming Pool, only phone number is number here. Updated on 2019 290 Old Montauk Hwy. , Montauk , NY , USA (Postal Code: 11954). Swimmers like you reported 20 yards x 35 feet, 2 lap lanes, Salt Water, Indoors. Unfortunately we do not have the e-mail address of this Pool, but we can give you the phone number. Updated on 2019 78-128 Ehukai St. , Kailua - Kona , Island of Hawaii, HI , USA (Postal Code: 96740). Swimmers like you have reported 103 feet x 36 feet, Salt Water, Outdoors. Also, you will find 73 feet x 25 feet, Outdoors. Just in case you need to contact this Swimming Pool before dropping by, we only know the phone number. Updated on 2019 4441 Collins Ave. , Miami Beach , FL , USA (Postal Code: 33140). Swimmers like you reported 25 yards x 25 feet, Salt Water, Outdoors. Unfortunately we do not have the email address of this Swimming Pool, but we can provide you with the phone number. Updated on 2019 5350 E. Marriott Drive , Phoenix , AZ , USA (Postal Code: 85054). Swimmers like you reported 25 meters, Salt Water, Outdoors. Phone number and e-mail address are number for this Swimming Pool.